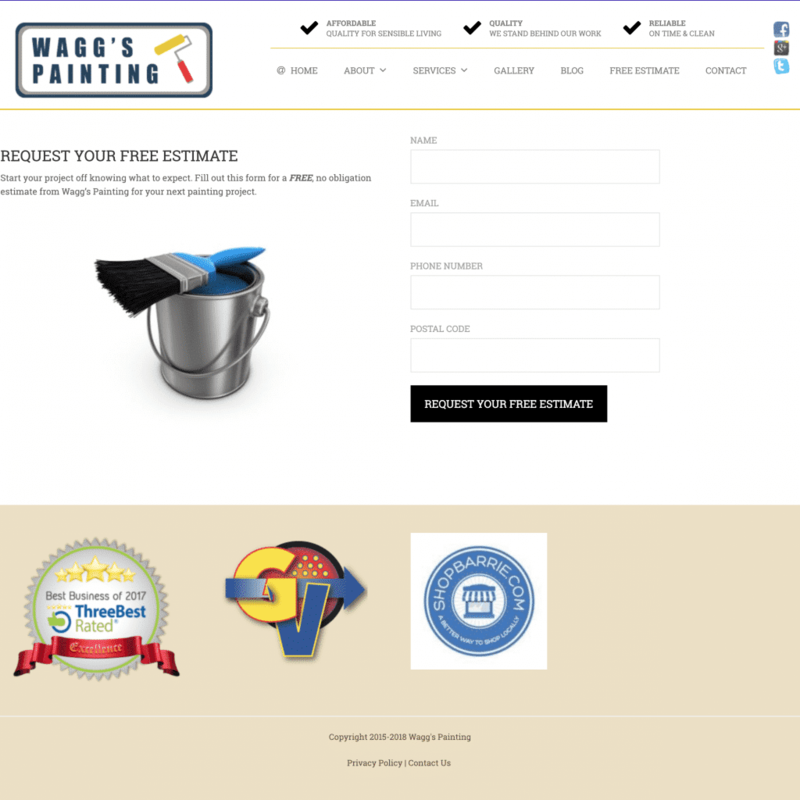 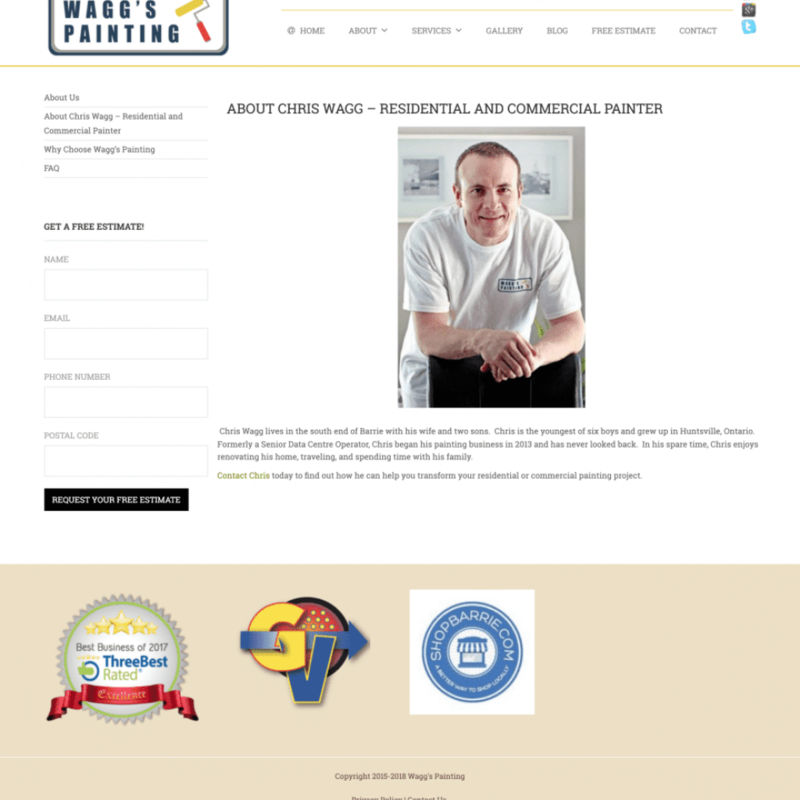 Wagg’s Painting is a family-owned company, based in Barrie, Ontario. 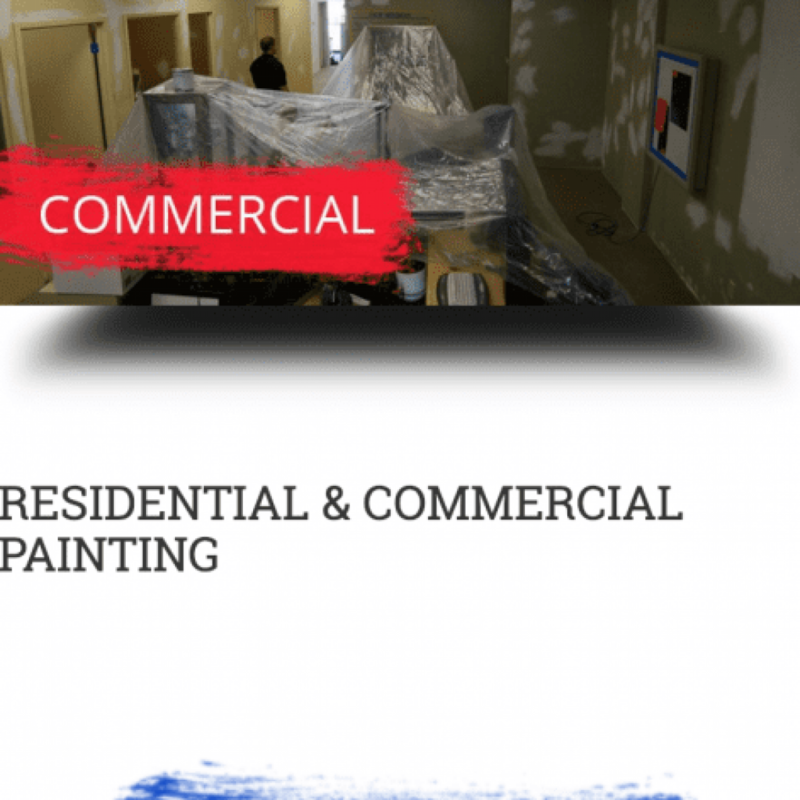 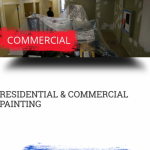 They specialize in both interior and exterior painting, and can take care of any of your residential or commercial painting needs. 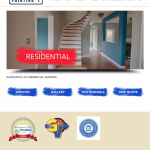 They are a small company, focused on high quality and making sure that their first time customers become return customers and friends. 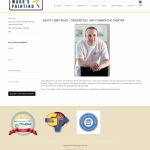 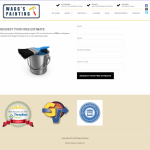 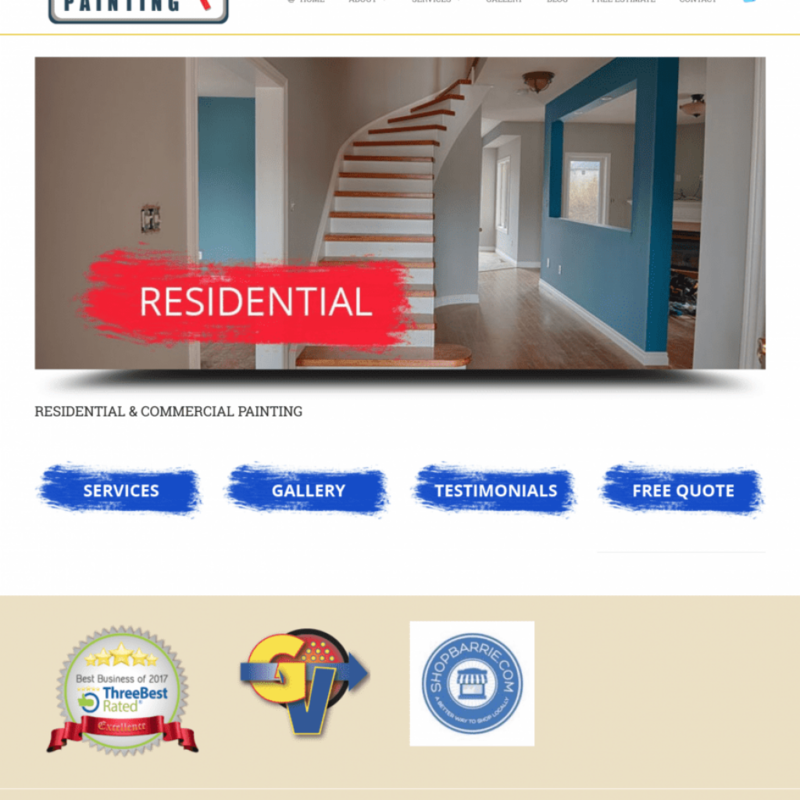 Their website offers functionality to get to know about their services, checkout their gallery in order get a feel for the work they have done, read their blog posts and even contact them anytime for a a FREE, no obligation estimate for your next painting project. 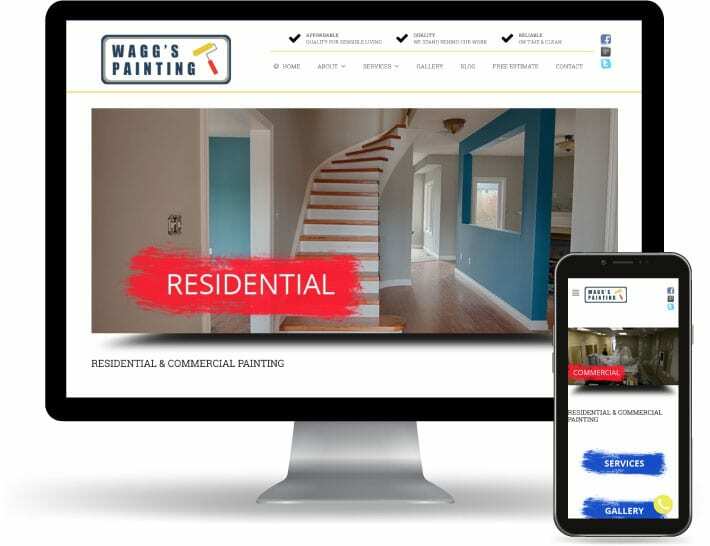 As one of Southern Ontario’s top web development companies, we take pride in partnering with forward thinking businesses to achieve their goals.